There’s a cold, hard truth that anyone looking to invest money to reap profits needs to face – all investments involve some degree of risk. In the financial world, the term risk refers to the degree of uncertainty and potential financial loss inherent in any investment decision. In general, there is also one hard and fast rule – as investment risks rise, investors seek higher returns to compensate themselves for taking such risks. So the more you stand to gain, the higher your chances are of losing. Each sphere of investment and asset class has its own inherent set of risks, and the P2P lending market is no different. We’d like to take an honest look at the risks in this area, as well as the lengths we go to in order to mitigate these risks. Our hope is that this helps you to make an informed decision when you decide to entrust your hard-earned cash to EstateGuru. Borrower or credit risk is the risk of loss resulting from a borrower’s failure to repay a loan or meet their contractual obligations. This is, of course, one of the central risks when you invest in a lending platform like EstateGuru, and also the risk that we work by far the hardest on minimizing, as we will show later. This risk is conversely also the reason why our investors are rewarded with such a high annual return on their investments. While it is almost impossible to predict who will default on a loan, there are a lot of steps that can be taken and checks that can be performed to keep this risk as low as possible. During the early part of 2007, a collapse in the subprime mortgage market in the USA set off a chain reaction that led to a global financial meltdown which economists have labeled the worst since the Great Depression. This crisis was caused by a perfect storm of factors, including overly easy credit conditions, irresponsible and even predatory lending practices and many more. It is incredibly difficult to protect yourself from this sort of risk, as it is so universal and devastating when it does occur. Force majeure is a French word that literally translates to ‘greater force’ and is very similar to the term Act of God. In investment terms, it refers to natural events or catastrophes that interrupt the expected course of events and restrict participants from fulfilling obligations. Examples of this might be a major flood destroying a property development before it can be completed or the principal investor suffering death or illness that causes delays or complications in repayment schedules. The unfortunate truth is that, however infrequently, some borrowers will default on their loan commitments. This central risk is something that we fully understand and countering and minimizing it is built into every part of EstateGuru’s business model. The simple fact of the matter is that borrowers decide to use EstateGuru because they cannot use traditional banks for a variety of reasons. Banks are incredibly risk-averse, slow to make decisions and generally not very friendly to entrepreneurs. This is also why their interest rates are so low. There are a few ways that we can prevent defaults as much as humanly possible. EstateGuru employs a team with vast real estate and investment experience, and this team checks every single loan application in the minutest detail. It is in our interest that we choose reliable borrowers with viable projects and a track record of repayment. 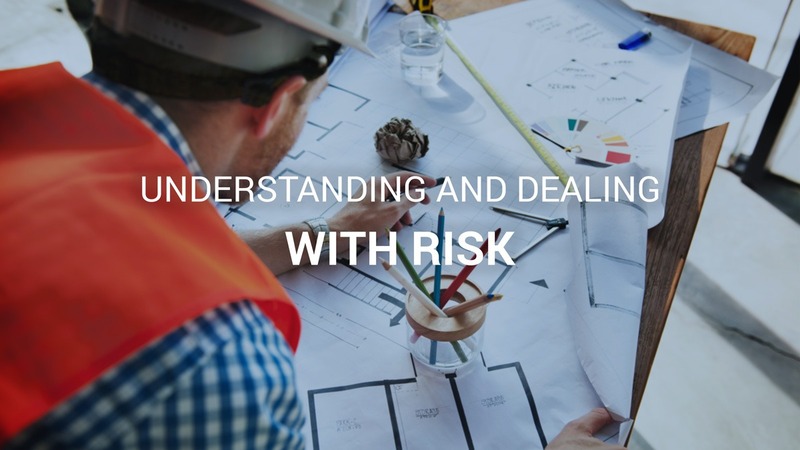 Our risk team is expert at calculating the risks inherent in any project and they use a stringent set of rules. After all, the easiest way to guard against risk is to take as little as possible. A key condition to any borrower entering a contract with EstateGuru is their willingness to sign a security agreement. What this means is that once the loan reaches its required investment amount, the borrower has to go to the notary office and enter into an agreement with the Security Agent to create a mortgage. The mortgage will then be registered at the Land Register in the name of the Security Agent on behalf of the investors. The purpose is to hold securities for the benefit of investors making investments via EstateGuru. What happens when defaults occur? Despite these rigorous checks and security measures, defaults will still occur. The good news for our investors is that we are not only prepared for these but have an action plan that helps them to get back their money. Our first approach is always to reason with the borrower. If we determine that the repayment delays are reasonable and that the borrower has a clear and reliable intention of paying back the loan, and the borrower shows their best intention of staying cooperative, we may extend the loan period. This non-punitive approach is successful in most cases, and while it may be very stressful for all parties involved, it usually achieves the best outcome. A precondition for prolonging the loan is the borrower’s willingness to repay the loan partially, pay interest or write the property over to EstateGuru’s possession. Occasionally, however, we need to get tough and invoke the guarantee of the mortgage. This is always a last resort and legally quite a complex undertaking. This also takes time, which again proves very frustrating for investors. Added to the long time period is the fact that we are often quite limited in what we can communicate to investors, due to the delicate nature of the legal proceedings. You can rely on the fact that, when things do go wrong, we will work tirelessly and relentlessly on setting them right. We value the trust our investors place in us and to earn and retain this trust we aim to keep their investments as safe as possible. This is why we always advise that you diversify your investments on our platform. It is safer to invest smaller amounts in a large number of projects than to put all your money in one, no matter how attractive it may look. This is why we have the low investment entry amount of just €50. More about the risks and how we deal with them. You can find more details about the current portfolio of EstateGuru in here.